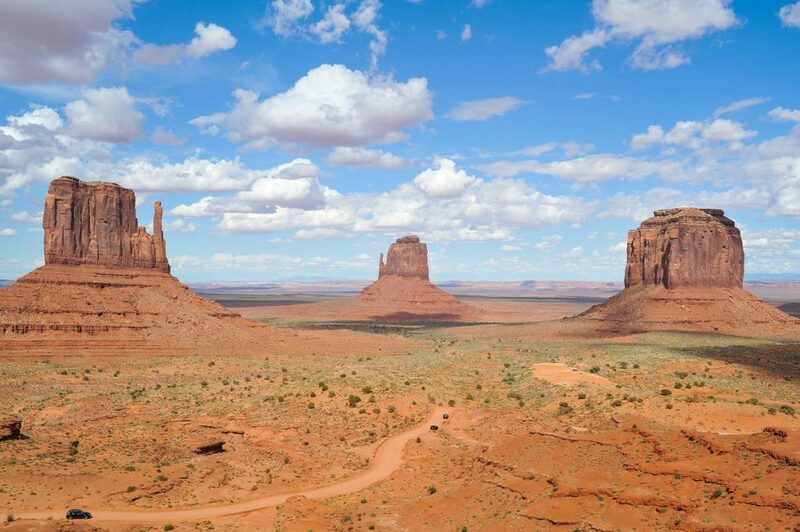 Arizona is home to three national parks and some of the most breathtaking rock formations in North America. 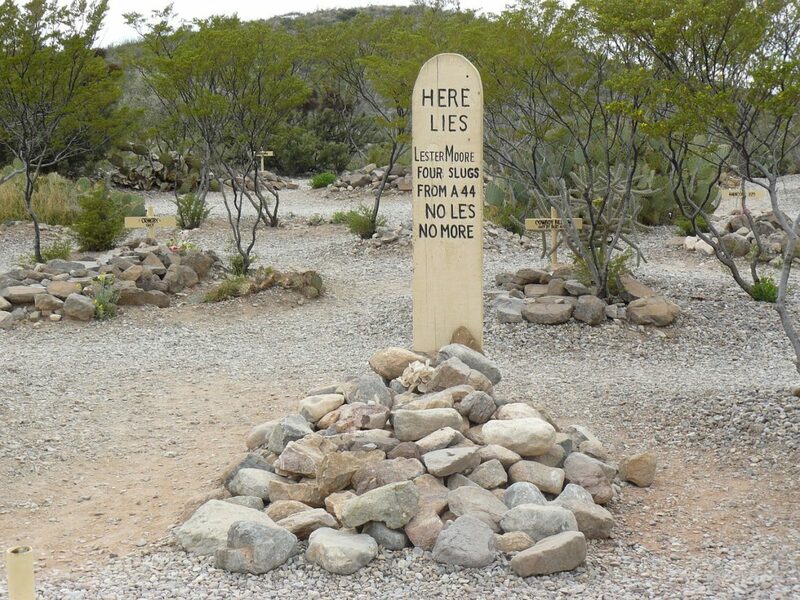 The 48th state is also steeped in the history of the Old West. If you’ve been thinking about exploring the Grand Canyon State, start by making a road trip checklist and choosing a highway. 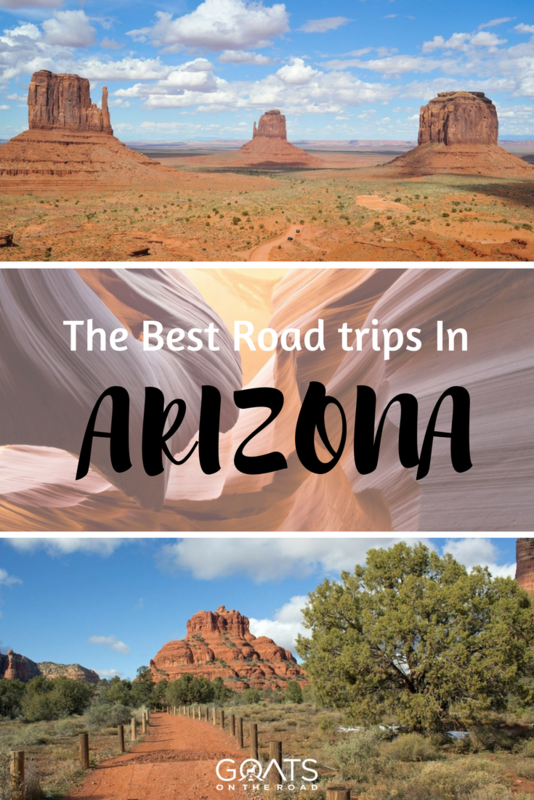 When you’re ready to head out, this guide will help you choose between five of Arizona’s best road trip destinations. Buckle up, and let’s go. 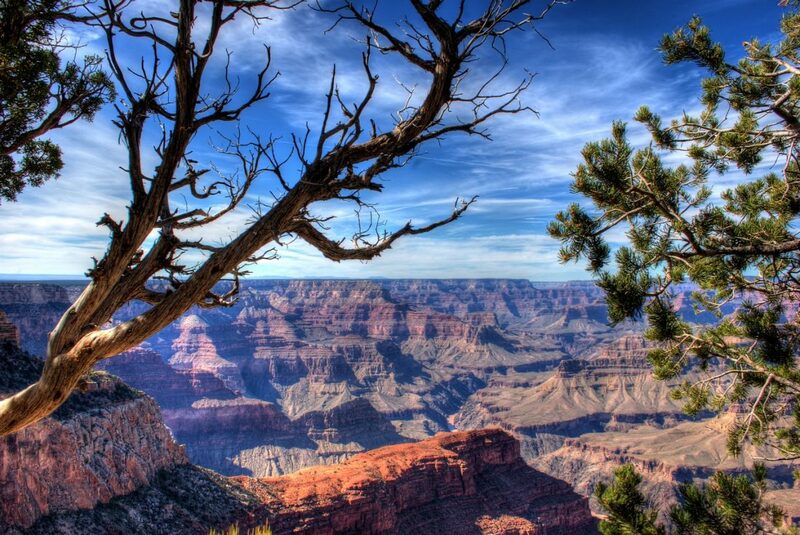 As the inspiration for the state’s nickname, the Grand Canyon came in at the top of this list. The canyon is 277 miles long, up to 18 miles wide, and over a mile deep at its lowest point. Because of its sheer size, visitors generally have to choose between the North Rim and the South Rim of the canyon. The South Rim offers the quintessential Grand Canyon experience, including guided burro rides, paved paths, luxury hotels, savory restaurants, and terrifying a glass skywalk. It’s also easy to access from major cities like Phoenix and Los Angeles. The North Rim of the canyon is far quieter than the tourist-filled South Rim, and it has fewer man-made attractions. On the other hand, the higher elevation offers a decidedly different view of the Grand Canyon. Instead of dramatic sunlit vistas, the North Rim offers quiet forests and secluded hikes. The North Rim’s atmosphere is less concerned with tourism and more focused on the natural beauty of the canyon. Some popular North Rim destinations include North Kaibab Trail and Ribbon Falls. 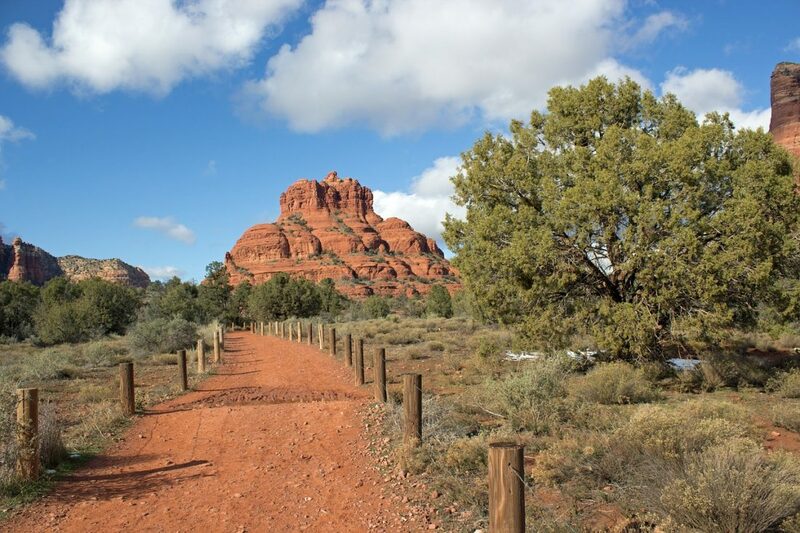 There are plenty of things to do in Phoenix, but every time someone visits me, they ask same thing: “When can we go to Sedona?” Located north of Phoenix, this desert town is surrounded by red-rock cliffs, steep canyons, and dense pine forests. When you’re ready to set out, head north on Interstate 17. Along the way, you’ll pass Montezuma Castle National Monument, a group of preserved cliff dwellings that housed the Sinagua people more than 1,000 years ago. You’ll also pass the V-Bar-V Heritage Site, the largest “rock art site” in Red Rocks Country. Sedona itself is known for its thriving arts community and quaint, small-town vibe. Start your day off at the Coffee Pot Restaurant, a bustling café with an all-day-breakfast and 101 different types of omelet. When you’ve had your fill, spend the day shopping for artisan goods at the Tlaquepaque Arts and Crafts Village. This beautiful, outdoor shopping district features cobblestone streets, hand-blown glass, and gorgeous artisan jewelry. For dinner, make a reservation at Heartline Café. My two favorite dishes are the bacon-hugged petit filet mignon and the pistachio-crusted chicken breast. There are plenty of guided tours, but I prefer to drive along the 17-mile road at my own pace. Admission to the park is $20 per vehicle, but there is no time limit. If it’s in your budget, you should also consider staying the night at the View, the only hotel in Monument Valley Navajo Tribal Park. These luxury accommodations offer unparalleled views of the entire valley, especially at sunset and sunrise. Before you leave, pay a visit to the Navajo-run trading post. Inside, you can find a several John Wayne souvenirs and a wide selection of Navajo arts and crafts. This list will finish the same way it began–with a stunning rock formation created by millions of years of water erosion. Antelope Canyon is a magnificent slot canyon located to the east of Page in northern Arizona. 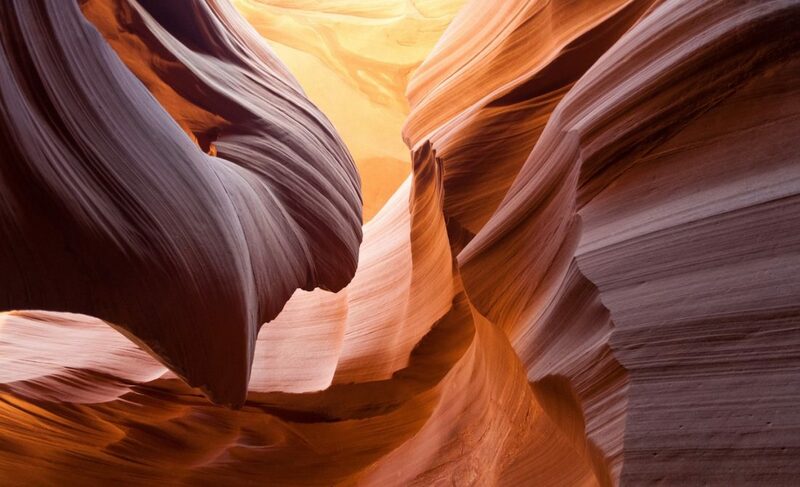 The canyon’s wavy corridors have been featured in several nature documentaries, including Louie Schwartzberg’s Moving Art series. Throughout the day, sunshine illuminates the canyon’s 120-foot walls and throws shadows around every corner. If you’re thinking about visiting, you should know that guided tours are the only way to explore the canyon. A short drive away, Lake Powell offers hiking, climbing, and rappelling in gorgeous sandstone canyons. While Lake Powell is actually located in Utah, the closest lodging are located in Page, Arizona. Come to think of it, Lake Powell isn’t even a lake, it’s a reservoir. Oh well! You won’t be thinking about semantics when you’re boating, swimming, and waterskiing in the Glen Canyon National Recreation area. If you’re planning a visit to both Antelope Canyon and Lake Powell, make sure to set aside at least two days. One day isn’t enough time to experience everything these natural wonders have to offer. 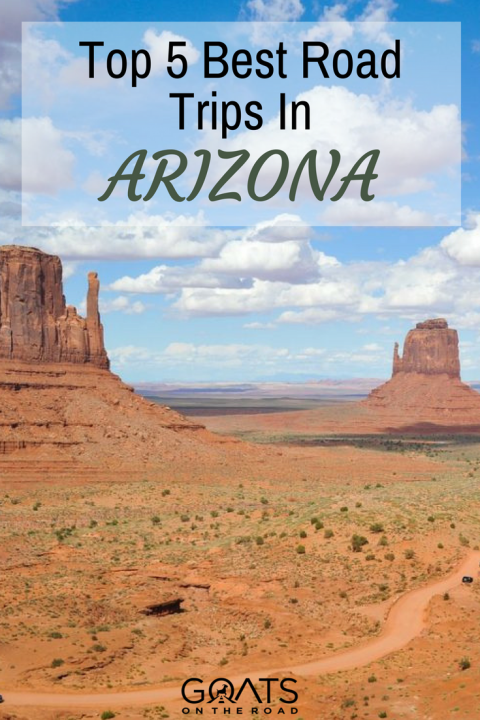 Have you been on a road trip in Arizona? What did we miss?! 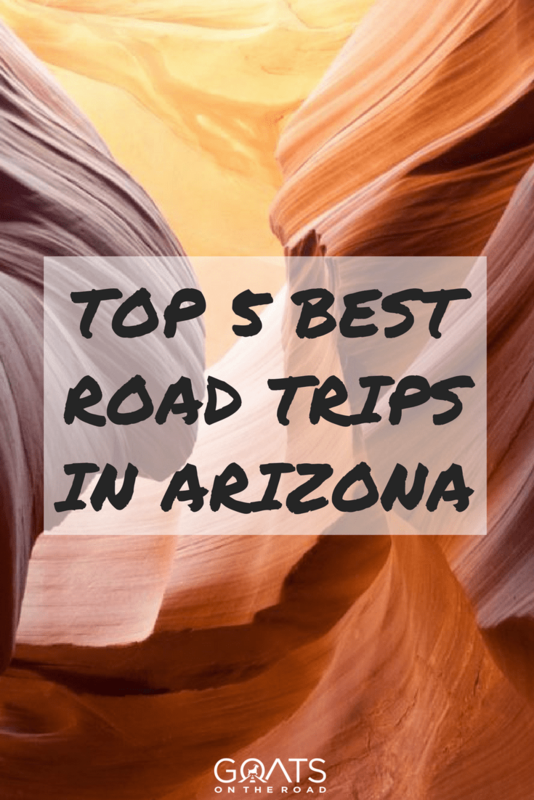 Share your favourite road tripping spots in Arizona in the comments below. Oh my these places look amazing! I have never been to the States but if I ever get the chance to visit it, I hope I can visit some of these places. The first photo in your presentation is at Arches National Park…which is in Utah, not Arizona. Antelope Canyon looks like the perfect movie set! I just moved to the Phoenix area in June, partly because I had done all these road trips in the past from San Francisco and fell in love with the Southwest. Now that they are in my backyard I look forward to doing them as often as possible! Such great roadtrip material!